Authors: Nikulina N.N., Yakushin S.S., Nikulina N.N., Yakushin S.S.
To analyse the frequency of unrecognized and/or unregistered fatal and nonfatal cases of acute coronary heart disease (CHD) and to estimate the unrecognized / unregistered cases influence on the acute CHD morbidity and mortality rate. Materials and methods. The unrecognized in medical documents acute CHD cases were actively revealed among 285 736 population according to the Study Design. Results. The portion of unrecognized cases in qualified acute CHD morbidity rate was 20.78% among males and 24.48% - among females, and 89.43% unrecognized cases had fatal outcome. In the issue of unrecognized cases revealing the acute CHD morbidity rate was increased by 26.24% among males and by 32.41% - among females, and the acute CHD mortality rate was increased in 2.13 and 2.28 times accordingly. Conclusion. The study results indicated the low acute CHD detectability in clinical practice and underestimate of acute CHD as cause of death. Информационно-методическое письмо Минздрава РФ от 01.01.2002 «Использование Международной статистической классификации болезней и систем, связанных со здоровьем, десятого пересмотра (МКБ-10) в практике отечественной медицины)». Кактурский Л.В. Внезапная сердечная смерть (клиническая морфология) / Кактурский Л.В. // М.: Медицина для всех, 2000. - 127с. Кактурский Л.В. Внезапная сердечная смерть: современное состояние проблемы / Кактурский Л.В. // Архив патологии. - 2005. - №3. - С.8-11. 4. Международная статистическая классификация болезней и проблем, связанных со здоровьем. 10-й пересмотр. Т.1 (ч.1). - Женева: ВОЗ, 1995. - 698с. 5. Международная статистическая классификация болезней и проблем, связанных со здоровьем. 10-й пересмотр. Т.1 (ч.2). - Женева: ВОЗ, 1995. - 633с. Метелица В.И. Эпидемиология и профилактика ишемической болезни сердца / Метелица В.И., Мазур Н.А. // М., «Медицина», 1976. - 168с. Estes N.A.M. Sudden cardiac arrest from primary electrical diseases. Provoking concealed arrhythmogenic Syndromes / Estes N.A.M. // Circulation. - 2005. - №112. - Р.2220-2221. Lopshire J.C. Sudden cardiac death. Better understanding of risk, mechanisms , and treatment / Lopshire J.C., Zipes D.P. // Circulation. - 2006. - №114. - Р.1134-1136. Priori S. Concealed arrhythmogenic syndromes: the hidden substrate of idiopathic ventricular fibrillation / Priori S., Napolitano C., Grillo M. // Cardiovasc. Res. - 2001. - №50(2). - Р.218-223. Sheifer S.E. Prevalence, predisposing factors, and prognosis of clinically unrecognized myocardial infarction in the elderly / Sheifer S.E, Gersh B.J., Yanez N.D. III, et al. // J. Am. Coll. Cardiol. - 2000. 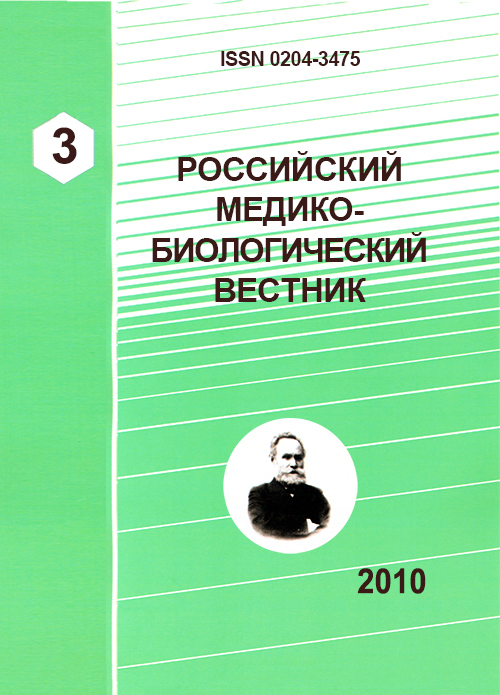 - №35. - Р.19-129. Sheifer S.E. Unrecognized myocardial infarction / Sheifer S.E., Manolio T.A., Gersh B.J. // Ann. Intern. Med. - 2001. - №135. - Р.801-811. Wever E.F. Unfavorable outcome in patient with primary electrical disease who survived an episode of ventricular fibrillation / Wever E.F., Hauer R.N., Oomen A., et al. // Circulation. - 1993. - №88. - Р.1021-1029. Copyright (c) 2010 Nikulina N.N., Yakushin S.S., Nikulina N.N., Yakushin S.S.